If you have read some of my previous posts, or already follow me on Instagram, you know that I love to hike. That’s where I see many of my favourite Calgary views. My staging jobs also take me to a range of different Calgary neighbourhoods and types of homes. Not only can great views sometimes be seen while I’m preparing my clients’ listing to sell, but often while I’m driving there too. 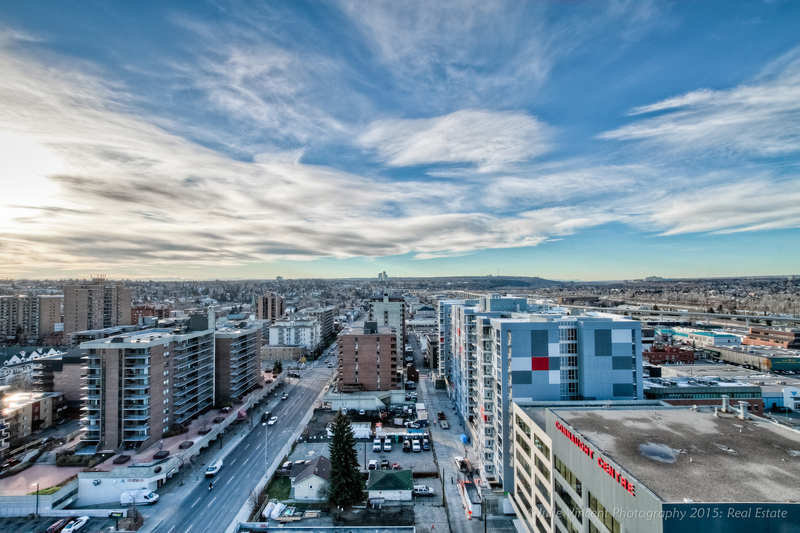 One of my recent favourite Calgary views was from a staging job I did in a Vetro condo in Victoria Park. Knowing that the potential buyers would love the view as much as I did, I staged my client’s living room and master bedroom to highlight that amazing feature. It’s a way of enticing the potential buyers to say to themselves, “Ah, imagine waking up to that view every morning!”, or creating the perfect spot for them to sit for a moment and indulge in imagining what their lifestyle would be like if they were to own this fabulous property. Amazing Calgary views are not enough in themselves to sell a property. After the initial awe wears off, buyers still want to know that they have enough useable space and can feel comfortable when they make it their own home. That’s where staging helps to check the boxes and seal the deal. Want to see more behind the scenes glimpses of this Calgary stager’s life and find out a little more about me? Visit me on Instagram @elysseb. I’ll share more of my favourite Calgary views with you there!